YouTube for Artists is a resource for artists and their managers. 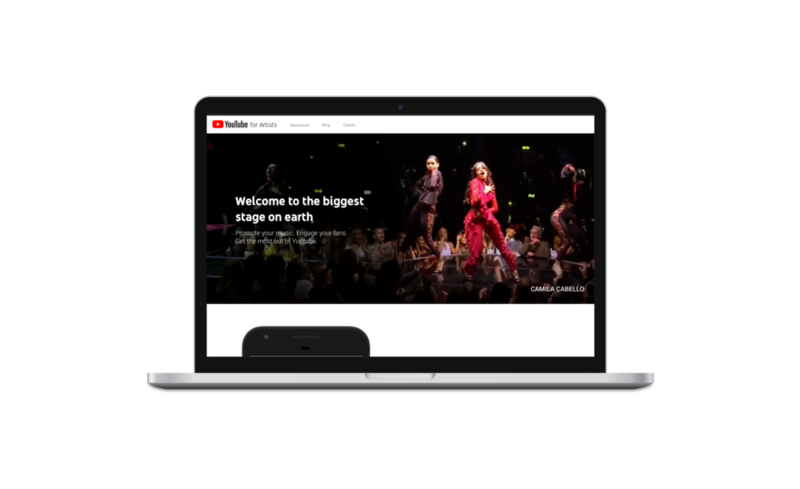 The previous design was in need of a refresh, so we quickly iterated and landed on a design that showcased what YouTube currently has available to artists. This site encompasses a repurposed blog, resource page, intro to music charts, and home page that gives an overview of YT offerings. My role on this project was art director and designer.